Chorleywood is a town shaped by the London Underground, and in particular by the Metropolitan Railway Company. So it's fitting that the first event to promote Underground: How the Tube Shaped London, the book to mark the 150th anniversary of the Underground, should take place at this year's Chorleywood Literary Festival. This is not, as Sam Mullins, one of the book's co-authors, is quick to point out, a book for railway geeks. Rather, it's a social history of London as it has been moulded by the building of the Underground. The first underground line, the Metropolitan Railway, was built to connect the mainline terminuses along the Euston Road. It was, simply, a steam railway built underground and Mullins leaves the audience in no doubt just how noxious that was. The Yorkshire Post described the atmosphere as "leaving one feeling as if one has been chewing lucifer matchers." A mining engineer, overcome by the smoke, recorded fleeing to an apothecary to obtain a tincture for relief. When he asked the apothecary if this was a common occurrence, he was told, "Bless you, sir, sometimes we have twenty cases a day." When the Circle Line was built, more than twenty years later, it required the newly built Embankment to be dug up all over again. But what really allowed the Tube to take off, were three technical innovations - safe methods of deep tunnelling, the invention of lifts and the invention of electric locomotives. By the early 1900s, most of the lines we know now had been completed. Some of the recognisable features of design were appearing too, such as the style of writing Underground with a dropped cap for the first a last letter. But it was Frank Pick, CEO of London Transport from 1933, who really created the familiar look of the Underground. He commissioned the world's first san serif typeface - the Johnston - still in use today, the familiar posters, the Art Deco station design - and of course, Harry Beck's iconic tube map. This was a period when the Underground was at the cutting edge of design, modern, innovative and flourishing. But it wasn't to last. The use of private cars meant that revenue from buses, which had always subsidised the Tube, was declining. For decades after the Second World War, the Tube suffered from underinvestment. Mullins took us through some of the low points in the Tube's history, culminating in the devastating King's Cross Fire of 1987. This proved something of a turning point, and Mullins' talk culminated with a postscript to the book - the story of London Underground's role during the 2012 Olympics. At its peak during those two weeks in the summer, the Tube carried 4.7 million passengers a day, up from its previous record of 3.2 million. Before the fact, most commuters would have said it was impossible. But then again, back in 1925, someone described rush hour at Finsbury Park as: "Pandemonium, something like a free fight, where men and women fight like rugby players to make their way home." Harry Beck's Tube Map is a useful reminder that a map doesn't need to be - and in fact never can be - a literal representation of the world outside. Jerry Brotton's fascinating book, A History of the World in Twelve Maps, looks in particular at the history of World Maps and shows how the way the world is represented is conditioned by who makes the maps and what they are for. He begins his talk by showing us two maps - a Babylonian clay tablet from 500BC which is the oldest known map of the world, and the start-up image from the 'geo-spatial application,' Google Earth. Far apart as they are, they share two things. First, they attempt to show the world from a god-like perspective, looking down from above. Secondly, they place the viewer's actual location at the centre of the world. The next maps Brotton shows us are copies of the ones created by Ptolemy in the Library at Alexandria around 150CE. Ptolemy knew very well that the world was a globe, and that a globe could not be represented accurately on a flat piece of paper. He developed two types of projection. The first started with a pin at the North Pole and drew fan-like lines of longitude. The second, more accurate but more difficult, had curved lines of longitude and created more of an illusion of the earth as a sphere. And indeed, although Africa fills the bottom of the map and the Indian Ocean is shown as a vast lake, in many ways, Ptolemy's map doesn't look unfamiliar. Not all maps place the viewer at the centre of the world. The 13th Century Hereford Mappa Mundi places east - the supposed location of the Garden of Eden - at the top of the map and Hereford near the bottom. Man's progression is towards the Kingdom of God. The world's first known globe is an interesting oddity of timing. It was made in Nuremberg for a merchant, who has it annotated with details of what can be traded where and for how much. But it was made in 1492 - just months before Columbus sailed to America - and thus is maintains Ptolemy's erroneous assumption that it is but a short hop across the ocean from Portugal in the west to China in the east. Mercator was the first cartographer since Ptolemy to produce an entirely new projection. His aim was to produce a map that could be used by navigators who were interested in sailing east-west. The extremes of north and south were frozen and unnavigable, so he used a projection that maintained the greatest accuracy nearest to the equator. It wasn't until the 20th Century that Mercator's projection was seriously challenged. The Peters projection, used today by NGOs and the UN (and famously in an episode of The West Wing) aims to maintain equality of area and get rid of distortions that appear to exaggerate the importance of North America and Western Europe. Which brings us back to the present day and the emergence of GPS mapping and of Google Earth in particular. Brotton was allowed access to the mapmakers at Google, "but when they saw what I wrote, they stopped returning my calls." He sees satellite mapping as the biggest revolution in cartography since the development of print maps, and a revolution that is still in its infancy. For him, it encapsulates the some of the tensions that have always existed in mapmaking. Should maps be produced mathematically, based on scientific measurements, or should they be derived from local knowledge? Who should control the production of maps? Brotton believes that cartographers in the last decade have abrogated responsibility for mapmaking and allowed corporations like Apple and Google to take over. On the one hand, as a questioner from the audience makes clear, satellite mapping has broken political barriers and provided access to maps in places, like Siberia, where paper maps have never been permitted. On the other hand, the digital divide is made wider where paper maps cease to exist. And ultimately the corporations' intention, like that of the merchant from Nuremberg, is to maximise the opportunity to sell things. Brotton's message is, "Be sceptical. Don't let yourself imagine that these maps are any less biased, any less selective in what they show you and what they don't than the ones that have gone before." Even that start-up image on Google Earth, the one that evokes the famous 'Earth Rise' photograph, he believes has been chosen cynically, for the way it manipulates our emotions. Beware, as the old maps said. Here be dragons. 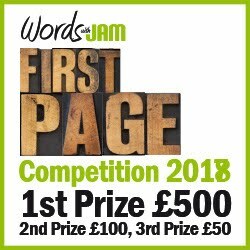 If you would like to read about Howard Jacobson, Clive Stafford Smith or Ben Elton at the Chorleywood Literary Festival, look out for the December edition of Words with Jam. One of the highlights of the annual Chorleywood Literary Festival, now in its seventh year, is its Rising Stars slot, showcasing new and lesser known talents. The authors chosen are always those that Sheryl Shurville and Morag Watkins – owners of Chorleywood Bookshop and organisers of the festival – are genuinely excited about, and their enthusiasm shines through. It’s a free event and an informal atmosphere, allowing the audience – many of whom are members of creative writing groups – to quiz the three authors, who this year are Erin Kelly, Nell Leyshon and Evie Wyld. Erin Kelly has published two psychological thrillers – The Poison Tree and The Sick Rose – has a third one coming out in January and is racing to finish a fourth against the very hard deadline of the birth of her second child. Eventually Kelly rewrote that troublesome ending and the book went to auction. She likes, she says, to set books in locations that are at a slight remove from society. She is addicted to programmes like Coast and mines them for ‘those five minute glimpses of personality’ that often inspire her characters. The Poison Tree is currently being filmed by STV, a project Kelly has no involvement with. As it happens, the interiors for one of the key locations were filmed in Chorleywood and the owner of the house is in the audience. “They put us up in a hotel for eight days, spent three days set dressing then five days filming.” “Did they put it all back again afterwards?” someone asks. “It wasn’t entirely satisfactory,” the owner says. “That’s a little like a feel about my book,” says Kelly wryly. The Colour of Milk is her first return to novel writing, and it’s no surprise that it has an incredibly strong voice. The book is narrated by Mary, a young woman in rural Somerset in the mid 1800s, who is being taught to read and write and in so doing is given the means to tell her own story. Leyshon is the only one of the three to read from her own book. She gives Mary a strong Somerset accent and a soft voice with an edge to it that draws the audience in and has them sitting on the edge of their seats. Evie Wyld grew up partly in London and partly on her family’s sugar cane farm in Australia. Her novel, After the Fire, the Still Small Voice, is about three generations of Australian men affected by war, and is loosely based on the experiences of her grandfather, uncle and cousin. Have they ever been asked to change something they really didn’t want to? 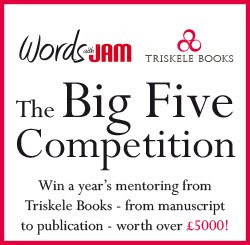 If you want to read more about the Chorleywood Literary Festival, look out for the December issue of Words with Jam.